This clear optic crystal diamond is framed by black crystal accents that appear to be an extension of the black crystal base. 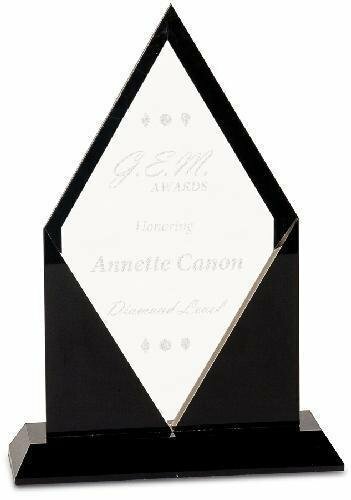 This simple, elegant crystal award can be personalized to honor outstanding achievement, and is packaged in a velvet lined gift box. 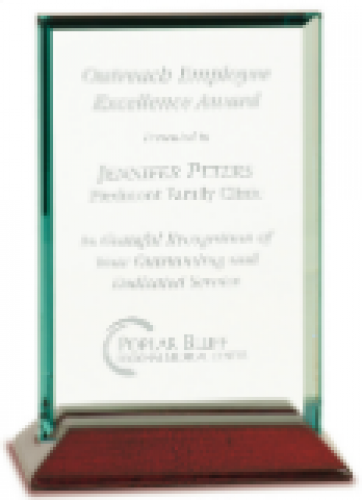 Our Oval Shape with Diamond cut acrylic award is a beautifully designed award featuring a unique diamond cut, giving your engraved text or image a stunning reflective effect! Available in your choice of blue, red, green, gold, or purple metallic painted back!